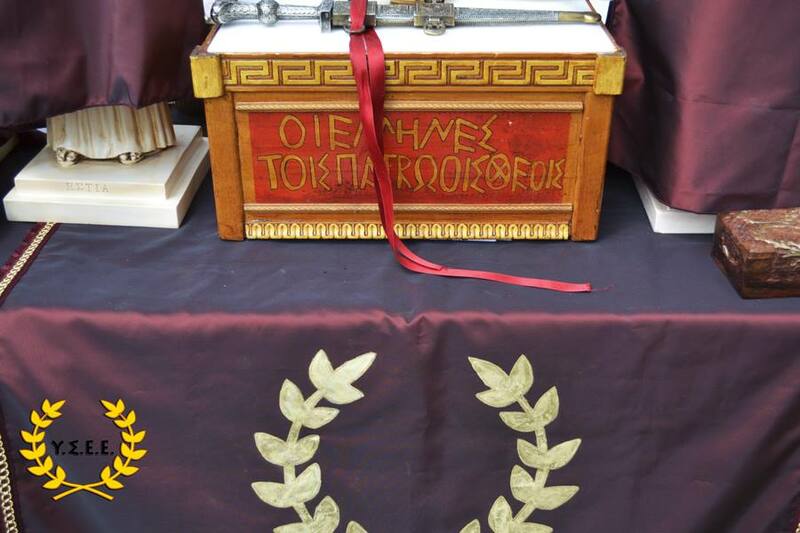 Immediately after its recognition as a religious legal personality in Greece (1), the «Ethnic Hellenic religion – Supreme Council of the ethnic Hellenes» will hold a two-day seminary for the training of new priests / priestesses in Athens, Greece. The seminar will last two days (for participants outside of Central Greece, one overnight stay, at least, may be necessary) and those who complete the course successfully will receive the priestly badge after their swearing. 1) In the next few months YSEE shall be recognized as a «legal person» in Greece. The required number of signatures has been reached. With this kind of recognition, ethnic Hellenes take a big step forward legal recognition of Hellenism in Greece. 3) The Supreme Council of ethnic Hellenes (YSEE) is a nativistic movement, a nativistic movement is defined as «Any conscious, organized attempt on the part of a society’s members to revive or perpetuate selected aspects of its culture.» (Ralph Linton: Nativistic Movements, in: American Anthropologist. Vol. 45, Nr. 2, 1943, p. 230).